The Industrial Court has suspended an order by Labour secretary Kazungu Kambi retiring COTU boss Francis Atwoli from the NSSF board. Activist Charles Omanga moved to the court Monday morning seeking orders to stop Kambi's directive that Atwoli and Federation of Kenya Employers boss Jacqueline Mugo retire from the NSSF board. He stated in his petition that the directive by Kambi was unlawful, lacking in basis and out of order. Kambi Friday, retired Atwoli and Mugo saying that they had served more than two terms on the NSSF board as stipulated in the new NSSF act. The act states that no person shall serve more than two terms of three years each on the board. Atwoli and Mugo have been on the NSSF board 15 and 11 years respectively. Both have come out to state that they will seek legal redress over the matter claiming that the new act states that the consecutive terms begin once the new act has been installed, meaning they have both served only six months in office. The act came into place in January this year. 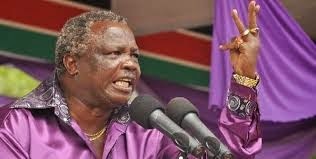 Atwoli on Sunday said that he would organize mass action by workers if the directive by Kambi was not reversed, stating that the move was an underhand method of removing him from office. Mugo and Atwoli have been against the new controversial NSSF rates which aim to charge workers 6% of their monthly incomes and have been suspended, as well as other NSSF projects, which is said to be the cause of the rift between them and Kambi.